A drawing is somewhat like a poem when considering the creative process. A poet selects words and phrases that best communicate ideas and feelings. An artist who draws does the same only with marks on paper, with lines and shapes, and with tone and texture. For a poet, particular words and phrases can come to mind, followed by ideas and feelings to be shaped into a poem. 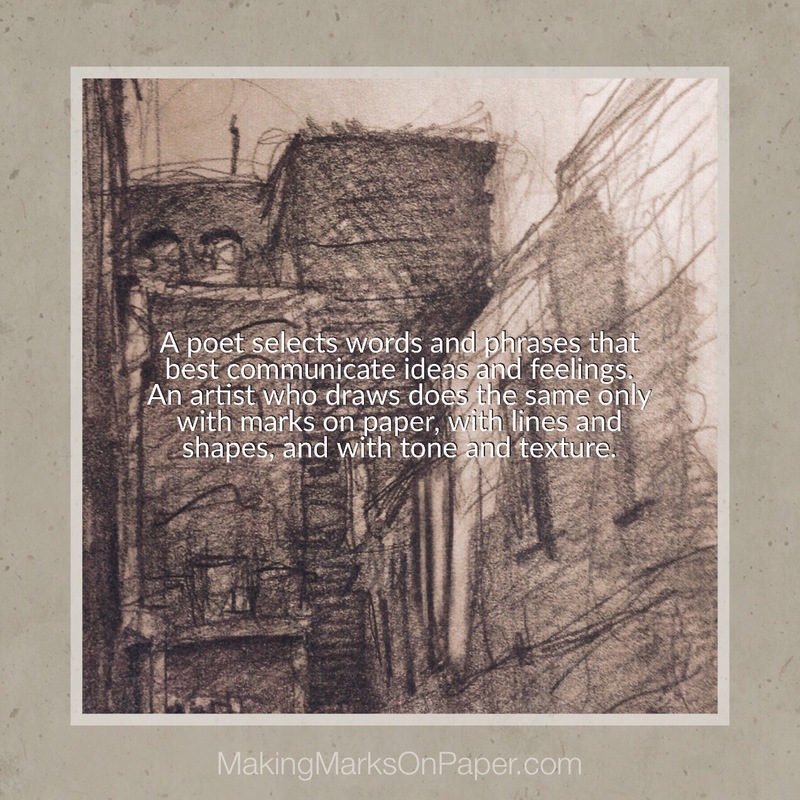 For an artist who draws, particular physical mark-making memories can come to mind, followed by ideas and feelings to be composed into a drawing. Expressiveness, not subject matter, guides the creative process.